Kathryn Casey - Welcome! Sit down and stay a while! Welcome! Sit down and stay a while! I appreciate your dropping in. Since you're here, how about lingering and nosing around a bit? As an award-winning journalist and the author of eleven true crime books, I've spent thirty years writing about real cases, real people, real murders. It's been an amazing education on law enforcement and the criminal mind. Why true crime? Because it opens a window into the human mind, the human heart, the very best of humanity and the very worst. In each book, I dig into a sensational case, pulling all the evidence together, doing my best to answer all the questions, not just who, what, how and where, but the most important, why? My most recent true crime book: IN PLAIN SIGHT. This is the case that rocked the nation. 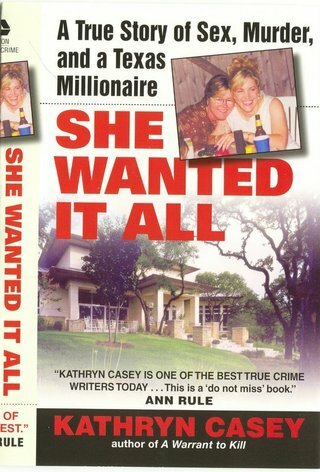 IN PLAIN SIGHT is an indepth account of the Kaufman County prosecutor murders, three killings that made headlines across the world. In January 2013, someone gunned down a prosecutor working for the Kaufman DA's office in broad daylight in the middle of town. The FBI, ATF, Homeland Security, Texas Rangers, local police and the sheriff's office investigated. Rumors swirled about the Aryan Brotherhood. 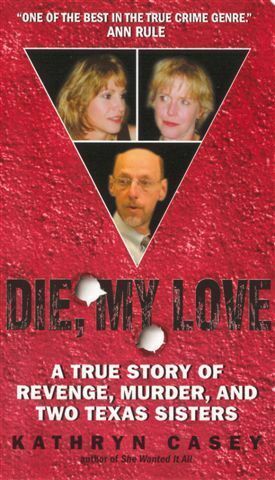 Then two months later, the Saturday before Easter, Kaufman's DA and his wife were brutally murdered inside their home. Law enforcement was under fire. Who would be so brazen? One of the most bizarre cases I've covered, the Kaufman murders tore off a mask of rural tranquilty to reveal political infighting, long-held grudges, and finally fatal revenge. As fascinating as true crime can be, it's good to try new things. Toward that end, I added another genre to my repertoire. For those of you who prefer your bad guys fictional, I relied on my crime-fighting knowledge and let my imagination free, introducing the world to Lieutenant Sarah Armstrong. It all began with SINGULARITY, the first book in my mystery series, a pulse-pounding tale of a Texas Ranger hot on the trail of the strangest killer to ever stalk the Lone Star State. BOOKLIST magazine named SINGULARITY one of the Best Crime Novel Debuts of 2009! The thrills continued with the second in the series, BLOOD LINES, this time transporting readers inside two intense investigations, one involving a young superstar hunted by a cyber-stalker. The third novel in the series, THE KILLING STORM, was named one of the best mysteries of the year by LIBRARY JOURNAL. The latest in the Sarah Armstrong series: The Buried. As pulse-pounding as the first three, with a couple of serious bad guys! It's available as an ebook on Amazon and through Kindle Unlimited, or order the paperback at your favorite bookstore. Sarah is back and here to stay! Want a glimpse inside the books? While you're here, click the links on the left under excerpts and read excerpts from many of the books, including the newest: IN PLAIN SIGHT. That's it for now, but before I go, one more thing: thank you to all of you who read my books and enjoy them, especially those who recommend my work to others. Your kindness is appreciated more than you know! While you're here, click on the links for descriptions of books and a sampling of photos. Thanks for stopping. Feel free to drop in again, anytime. You're always welcome. Before you leave, check out the new page on the I-45 serial killings explored in DELIVER US. I've attached audio clips, prison letters, artifacts from my years delving into these horrific crimes. One letter includes a chilling confession! Follow the link to have your Kindle book signed!